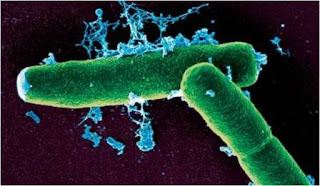 In the last few posts we have discussed bacterial world in detail. Our body has many symbiotic associations with bacteria like colon bacteria Escherichia coli, vaginal bacteria Lacto bacillus etc. But as an organism we are not at all threatened by giants in the animal world. Our biggest rivals are from the microbial world that includes bacteria, viruses and fungi. In this post, let us list out some important diseases caused by this group of microbes.